Protect your iPAQ Pocket PC investment against scratches and smudges without compromising the size. 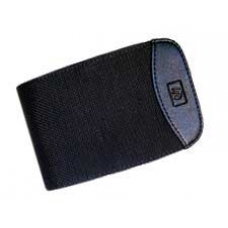 The official HP canvas cover case keeps your iPAQ handheld PC safe and sound whether in your pocket or in your hand. The convenient slide on design allows you to quickly remove your iPAQ.